European Parliament urges United States to reconsider its decision to cut funding to UN agency for "Palestinian refugees". European Union lawmakers are urging the United States to honor its financial pledge to UNRWA, the UN agency for “Palestinian refugees”, The Associated Press reports. The European lawmakers welcomed a commitment from Arab League countries to contribute, but called on them to boost their contributions, according to AP. UNRWA is seeking $800 million for its emergency operations this year. Following the U.S. cut, Belgium pledged to allocate $23 million to UNRWA, while Britain announced it would continue to support the agency. 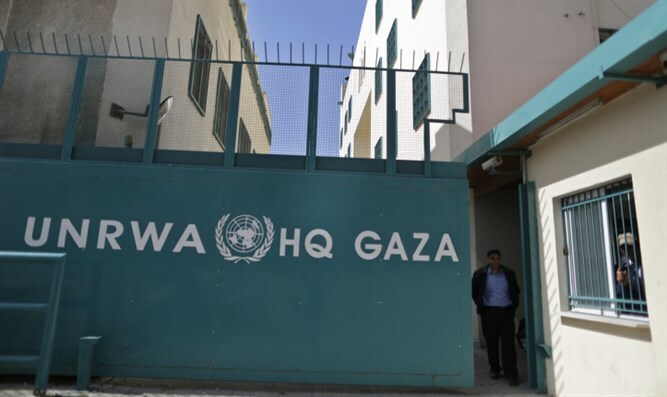 UNRWA has long been a target for criticism in light of Hamas's activity in its educational institutions and the use of its facilities by Palestinian Arab terrorist organizations in Gaza. The agency was documented storing Hamas rockets and weapons "designed to kill Israeli citizens" in its schools, a fact which the UNRWA chief admitted himself.